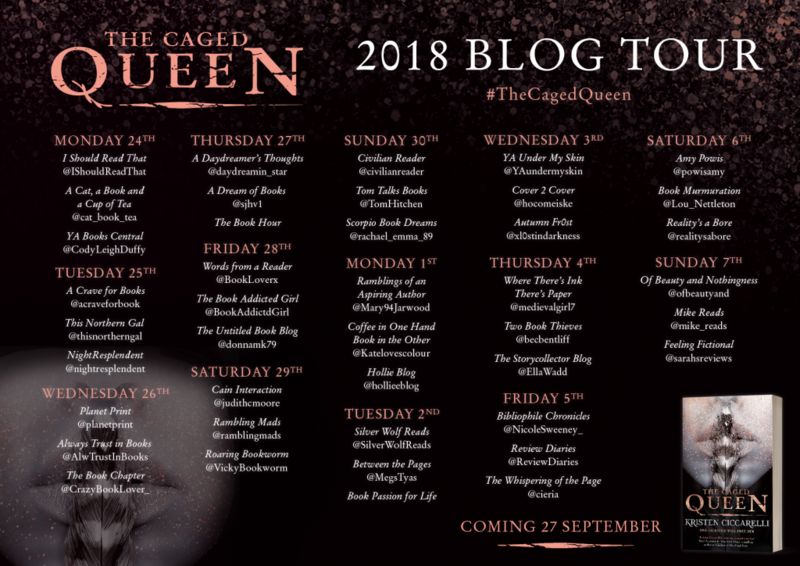 I’ve been sat here staring at the ‘Add New Post’ screen for a while because I honestly don’t know how I can put my feelings about The Caged Queen into words. However, the lovely people over at Gollancz have asked me to be a part of the blog tour so I’m going to try and put my fangirling into something that makes some sense. As many of you know, Kristen Ciccarelli’s The Last Namsara was one of my favourite books of 2017 and so as soon as I found out that she was releasing another book, I was desperate to have it in my hand. Gollancz fulfilled that dream for me and sent me a copy, which I was so, so grateful for. While this book is set in the same universe of The Last Namsara, it is not exactly a sequel. The Caged Queen is a stand alone novel that follows the events of The Last Namsara but focuses on a new set of characters. This is the story of Roa, who is still reeling from the death of her twin sister eight years before and now has a new marriage to adjust to. This is hardly the honeymoon days as the political match causes strain on Roa and her relationships with her friends and family. All Roa wants is to keep her people safe and right the wrongs that have been done to them. Even if that means betraying someone from her past. This book swept me up in the wonderful world that Ciccarelli has created within the first chapter. There are plenty of familiar characters for fans of The Last Namsara but the stories that were shared with us in this book were just as magical and captivating. There are pieces of mythology and Roa’s own past interwoven throughout the main story and I loved these snippets of the wonderful universe that Ciccarelli has crafted. If I can have ten thousand more stories from it, I’ll still be craving more. I also loved the character of Roa. She was fierce, and guarded, and made mistakes that I was screaming out in frustration about. However, I never stopped wanting her to win. I will freely admit that she made me smile, laugh, curse and even cry. I have a feeling that whoever saw me reading this book probably had no idea what was going on with my facial expressions! I cannot explain to you just how much I love this book. I simply devoured it in a day. 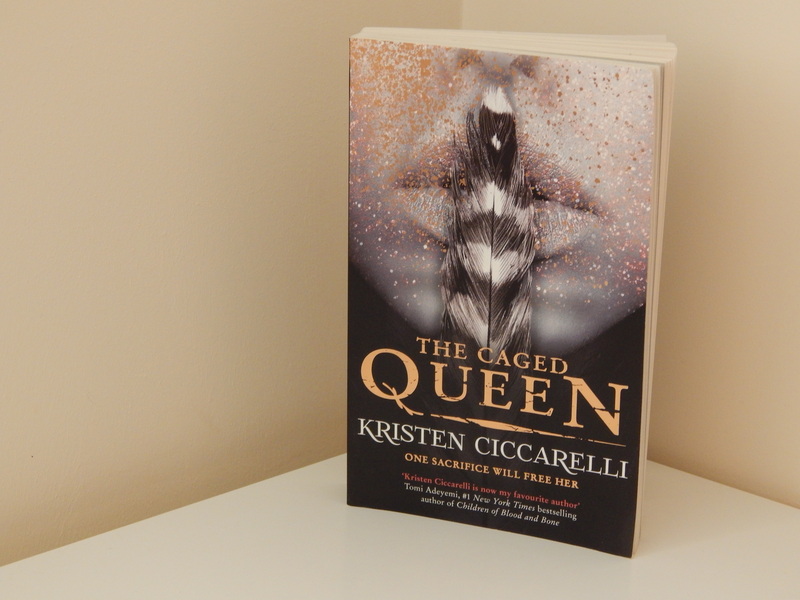 I even wish that I hadn’t already read this or The Last Namsara so that I could experience the magic of Kristen Ciccarelli’s writing for the first time all over again. P.S I really must say a massive thank you to Gollancz for sending me a copy of this book to review. I’m the same as you – this book was fantastic! Can’t wait for book 3.